Well, my photos, or posting abilities are not near the quality of Ernie’s, but these photos reflect some of what I’ve been preparing for dinner at our house. 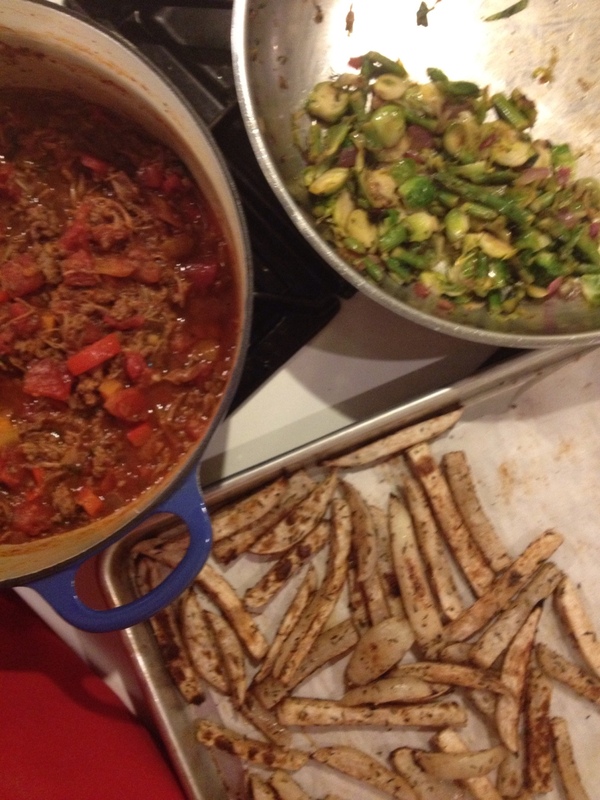 The top photo is a stir-fry and beet green sauté; the other bison/leftover pulled pork chili, Brussels sprout/asparagus sauté and Chinese 5-spice turnip fries. All very good! Sorry, Ernie. I couldn’t figure out how to write comments below the photos and leave the title alone, but I am trying to do this on my iPad which is all the more confusing to me… Update on Inglewood Farm and Butterfield’s – they will both be at the AMoA 2nd Saturday market on Feb 11! 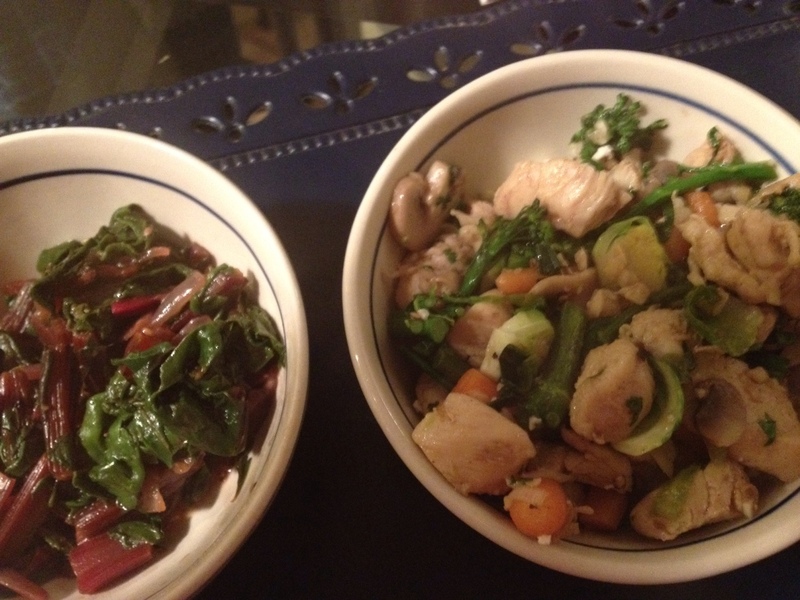 Ok, first, food looks awesome!! Especially that chili, love the stringy big chunks of meat. Where do you get your bison from? Second, posting takes a while to figure out! I’ve found it easier to use my PC for the posts, but I’ve also used my iPad for some. I just write what I want, insert a photo, and keep writing after that. Either way, it looks fine! Last, we’ll be there Feb 11th! How early are they open? Oh, and I fixed your post title so the words would be in the main body of the post! Thanks for fixing me up, Ernie. I bought the bison at Whole Foods in BR. I try to buy several pounds of different cuts each time I’m there and store in the freezer – the ribeyes are to die for! The Saturday market is from 9a-1p. I don’t know that the farmers will be there any earlier than that, but if I learn otherwise, I’ll let you know. I’m going out to Inglewood tomorrow afternoon for a tour of their garden – can’t wait. Jan Velilla, the garden manager, is excited about the potential for business at the market and in Alexandria. Please help me spread the word! !